Forget that all inclusive beach holiday you've been searching for, because if you love wine and are looking for your next wanderlust fix, we may have just found your idea of paradise. Croatia's first underwater winery is now open and it's the ultimate in travel goals. Grab your suitcase, passport and a large glass, because here's all you need to know. When you sit back and chillax with your wine of choice, do you ever stop to wonder about how exactly it made its journey from grapes to your glass? No? Well those bottles we love to pop have usually travelled much further than your local Aldi, y'know. Visiting a winery should be a must for any wine fan, but forget the traditional hot spots because this underwater version puts all others to shame. 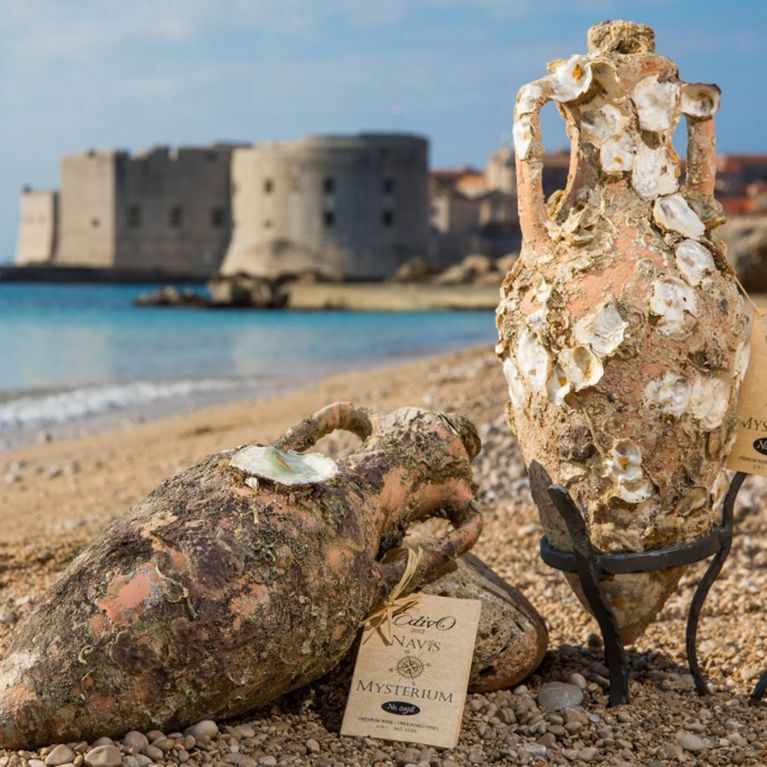 The Edino Vina winery is the first of its kind in beautiful Croatia, allowing vino lovers to take an aquatic trip below sea level to visit the underwater location where the wine is stored for one to two years. Travelling down with a diver, you can get an up close and personal glimpse of where the wine is stored, as well as a snoop around the old sunken boat that's located at the bottom of the Mali Ston Bay. Lonely Planet reported that although the wine is aged below sea level, the grapes to liquid process actually begins above ground for three months, before being stored in amphorae (a clay jug with two handles and a narrow neck) below the water for one to two years. The underwater winery is owned by Ivo and Anto Šegović and Edi Bajurin, and told Lonely Planet the idea came to them five years ago. They believe that the sea provides natural cooling in ideal conditions and the perfect silence underwater improves the quality. ​But forget taste - the bottles also look cool AF after collecting pretty ocean debris for all that time, and what's really important here is the number of Instagram likes up for grabs, am I right? If we didn't already want to visit Croatia, we definitely do now.